At Lost Earth Adventures we aim to give you exactly what you want out of your day! All of our hiking days can be run as private guided sessions for you and your group, giving you the freedom and flexibility to make your day your own.  You can also choose to join one of our group events that are running throughout the Spring and Summer. We can literally provide guiding in any mountain area of the UK. Just let us know if there is a specific region or peak you would like to explore and we can assist you from beginning to end. We are always flexible on dates and we can arrange a time to suit you. Please contact us for availability. We also provide treks in the Nepalese Himalaya and the Jungles of South East Asia. This is undoubtedly the classic walk in the Yorkshire Dales. The walk is approximately 23 miles in length with an elevation gain of over 1000m. 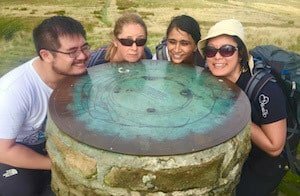 Starting at Horton in Ribblesdale, the walk takes you on a superb circular of the hills. It is always fulfilling! Some people aim to complete this challenging trip in 12 hours. If that’s what you’d like to do we’ll be with you all the way. 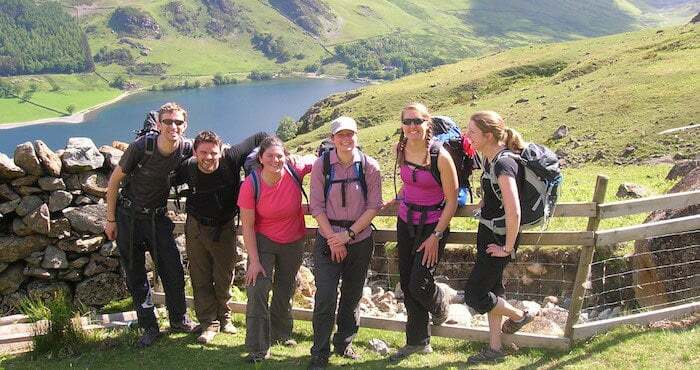 Climbing Snowdon is an excellent challenge for people of all abilities. 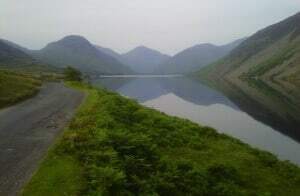 There’s a plethora of routes on offer, all with spectacular panoramic views across Snowdonia National Park and beyond. 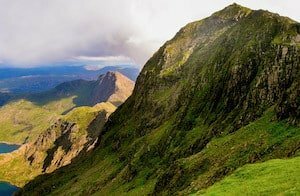 Will it be the classic Pyg Track and Miner’s route or will you choose an epic day of scrambling via Crib Goch, quite possibly Britain’s finest ridge scramble? Scafell Pike is the highest mountain in England. From the summit you can enjoy spectacular panoramic views. On a clear day you can see other peaks as far away as Wales, Ireland, Scotland, and the Isle of Man. Reach the UK’s highest point and summit Ben Nevis! This has views stretching far across Scotland and is an extremely worthy and challenging peak to take on. 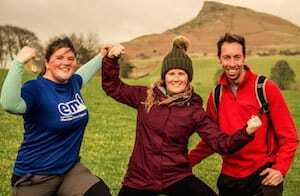 What is the UK 3 Peaks Challenge? 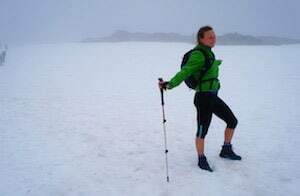 Climbing the highest peak of England, Wales and Scotland in 24 hours. This adventure has 2926 metres of climbing (nearly 10,000 feet!) and a total walking distance of 36km (22 miles). A classic circular route taking you on a grand tour around the Edale Valley. 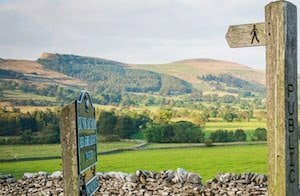 Crossing 21 miles of tracks and trails, and climbing nearly 1400m, this is a great challenge that showcases some of the best landscapes in the Peak District. What is the Peak District 9 Edges Challenge? Hike 21 miles on a classic linear route across the Peak District, crossing the most famous of its iconic gritstone edges. The area is wild and nothing short of staggeringly beautiful. 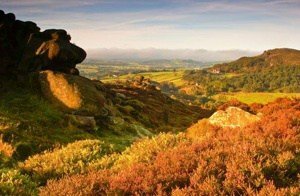 There’s not doubt why people choose to visit the Peak District from all over the country, as it really does have it all. The terrain is rugged and varied, with verdant valleys and lofty summits, fields of heather and vast moorland juxtaposed with the craggy outcrops of gritstone that break through the rolling hills. Spoiled for choice, the region is a honeypot of adventure. To find out more about this walk or any others we can offer in the Yorkshire Dales give us a ring or send us an email.